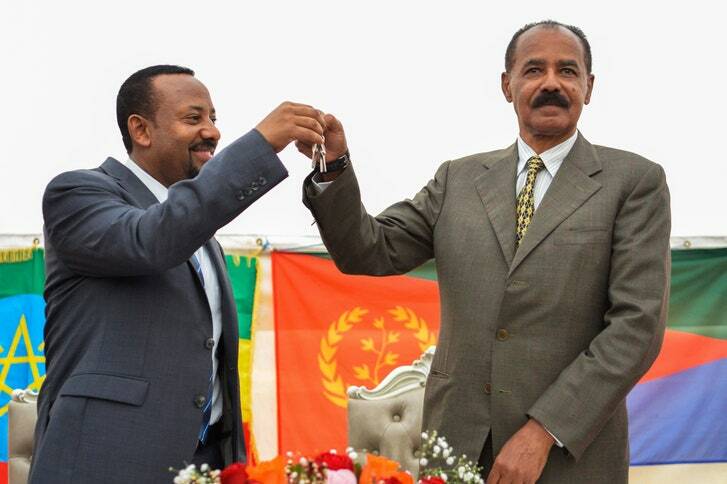 March 11, 2019 by Abraham T. Zere·Comments Off on Eritrea’s diplomatic offensive? Ilhan Omar, the Somali-American congresswoman from Minneapolis, has been in the headlines lately for calling out Israel’s influence on US foreign policy and for her grilling of Donald Trump’s Venezuela envoy, the war criminal Elliot Abrams. Less well covered has been her venturing into the United States’s policy on Africa. 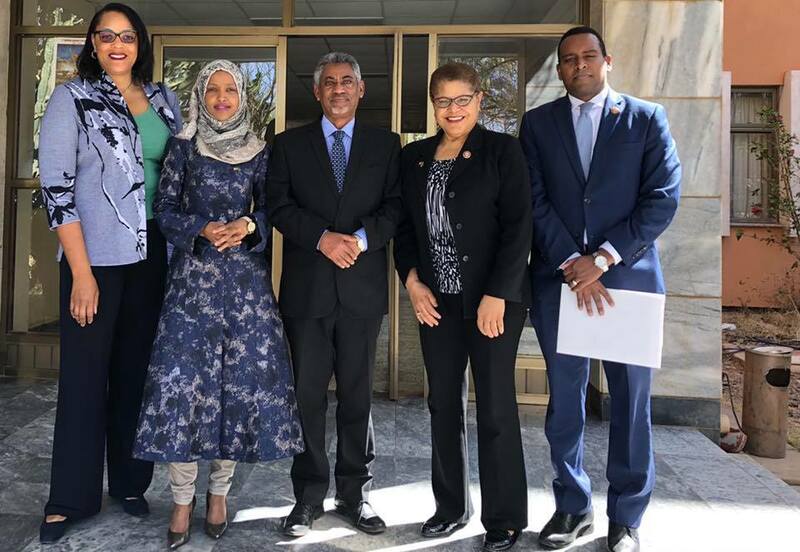 At the beginning of March Omar joined a US Congressional Committee led by Rep. Karen Bass to visit Eritrea. Others in the delegation included Eritrean-American congressman Joe Neguse of Colorado. Karen Bass is chairperson of the US House of Representatives Foreign Affairs Subcommittee on Africa, Global Health, Global Human Rights and International Organizations, so this clearly was a high level affair. 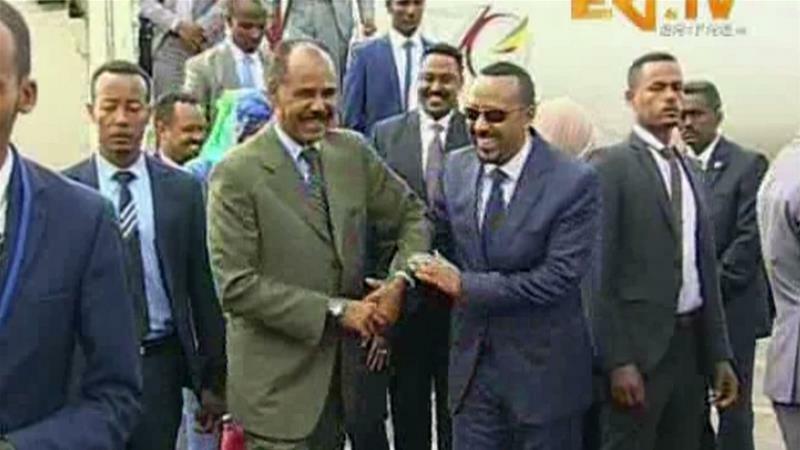 That the visit happened may have been largely a consequence of changing geopolitics and conflicting interests of the superpowers in the Horn of Africa; buying time for Eritrea’s Life-President Isaias Afwerki and his regime, in power for 27 years already. 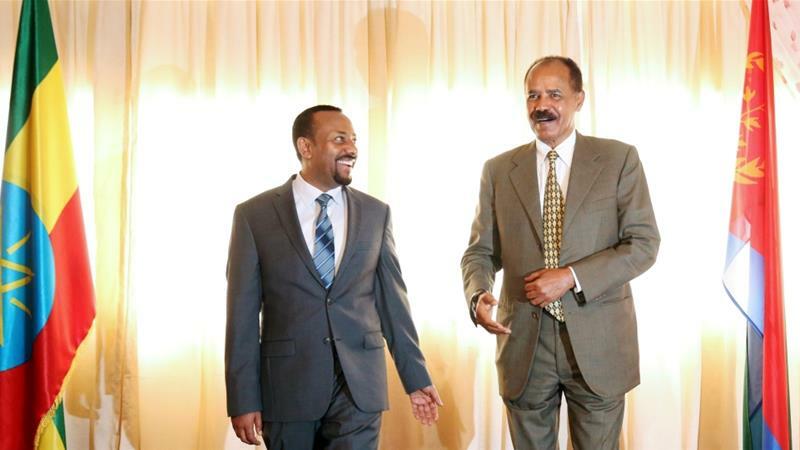 It is unclear who will benefit from the visit by the US delegation: the US, the Eritreans or even Eritrea’s more powerful neighbor, Ethiopia. Afwerki’s regime has been shunned by the US and subjected to sanctions. We doubt that the visit will receive the kind of scrutiny Omar’s remarks about Israel have received in US media. In a tweet, Omar described the visit as the “the first American delegation to Eritrea in decades.” It was the first in fourteen years. 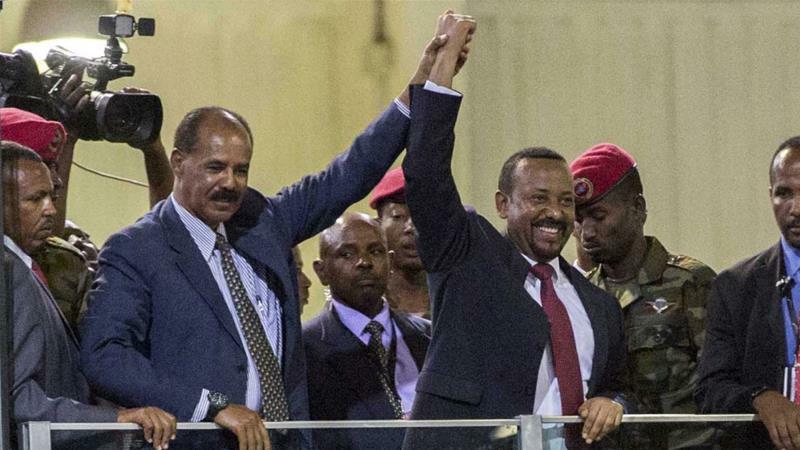 But the US may be following its chief ally in the region, Ethiopia. Click here to read the article.